Fatoni, or Toni, was abandoned by his parents when he was 5 months old. Since then, Toni ended up staying with his grandmother, step-grandfather and great-grandmother. Due to old age and poverty, all of them were unable to take care of Toni properly. Because of the lack of care and attention from the family, Toni spent his days playing with his friends from morning to evening without adult supervision. Sometimes he didn’t eat because there wasn’t enough food. 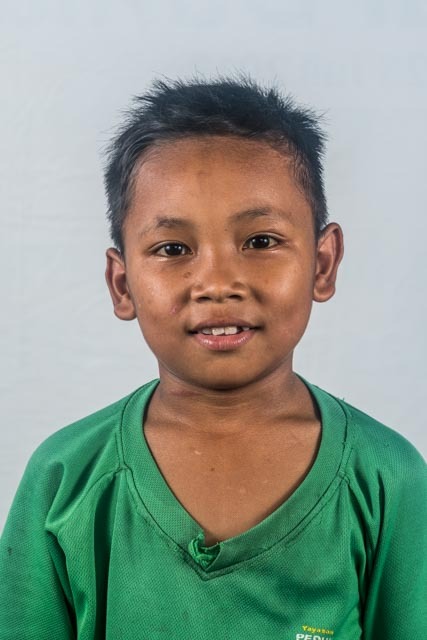 Peduli Anak saved Toni because he needs a safe and supportive environment. He is a cheerful child, sociable and easygoing. Toni loves playing football and basketball. He wants to be a soldier when he grows up.